Unified human capital management (HCM) solutions streamline processes and increase efficiency. As one of the fastest growing industries, technology services organizations often find themselves in a highly competitive battle for the supply of qualified talent. This is in addition to the challenge of effectively managing a geographically dispersed workforce. 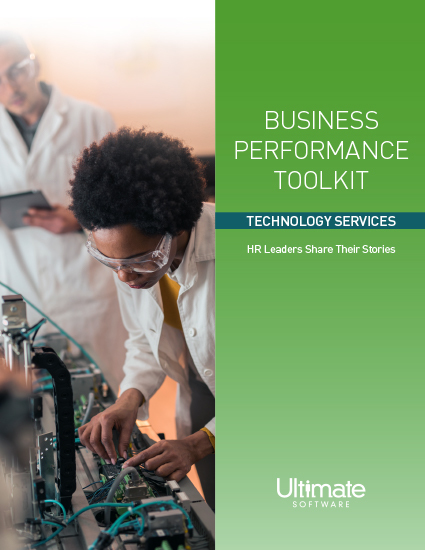 In this technology services toolkit, you’ll discover how a variety of leading companies in the industry are streamlining time-consuming HR processes, reducing time-to-hire, and saving thousands in administrative costs. Please fill out this brief form to access your technology services toolkit.